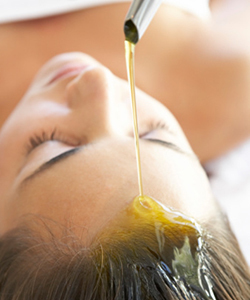 Honey has many nutritional and medicinal uses, but did you know it can be beneficial in your beauty routine? Honey is a humectant (which means that it helps to retain moisture) and an emollient (meaning that it softens and smoothes), which “naturally” makes it a great conditioner and moisturizer. It is also rich in vitamins and minerals, so using it in your hair care routine can leave your tresses looking shinier, feeling softer, and in an overall more healthy condition. Recent studies have also shown that because of honey’s antibacterial and antioxidant properties, it can also prove beneficial in keeping your scalp healthy and promoting hair growth! 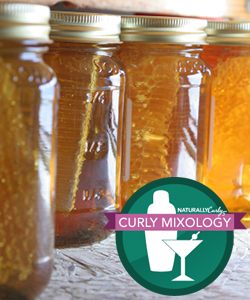 There are many things you can do with honey; try out our latest honey deep conditioner recipe called "Honey, You Need to Deep Condition." Honey is a natural lightener so it serves as a natural method to add subtle highlights or slightly lift your hair color overall. 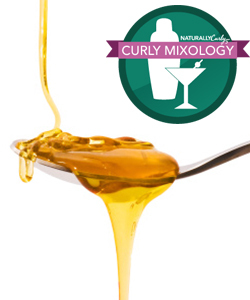 For a more intense affect, combine honey with your favorite conditioner, and add a squeeze of lemon juice. 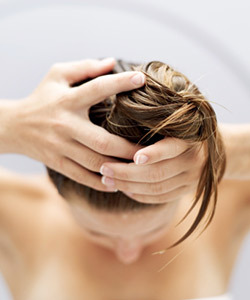 If you're looking to darken your hair, consider using molasses as a substitute. MORE: Honey Hair Lightening: Fact or Fiction? Rinse it out, preferably with cold water. 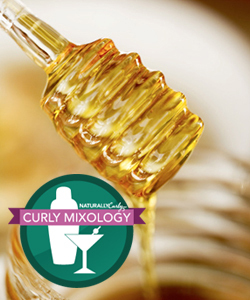 Honey clarifies the hair as well as conditioning so your hair will look shiny and smooth.